Bristol, Virginia Police are searching for a suspect who attempted to run three officers over and lead police on a Wednesday morning pursuit before getting away. Police responded to a call at Jones Manor of a man reportedly brandishing a firearm. 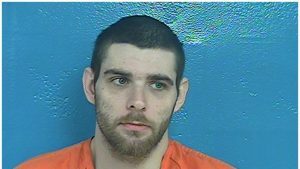 When they arrived, 26-year-old Billy Stratton took off, nearly hitting multiple officers with his truck, and leading police on a chase that crossed over to the Tennessee side. Officers say Stratton crashed into a fence behind the American Legion building and took off on foot, evading capture. Police have described the vehicle Stratton used during the pursuit to be a gray pick-up truck, but have yet to identify a make or model.